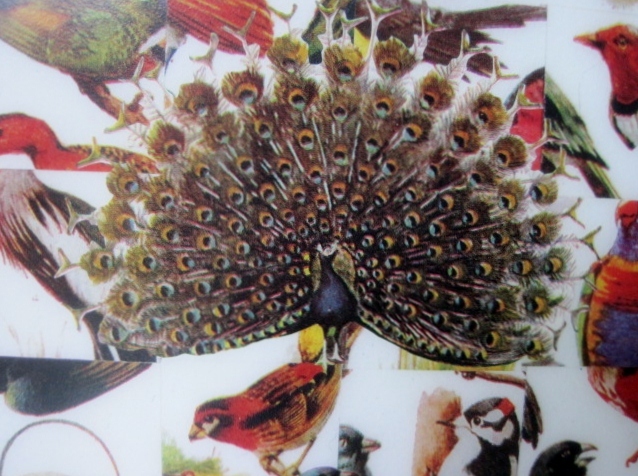 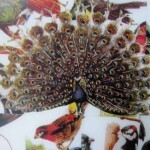 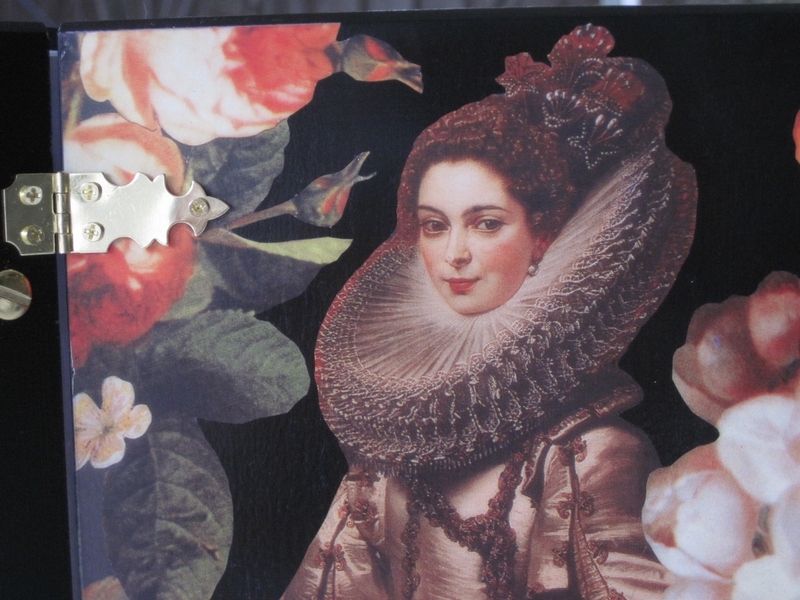 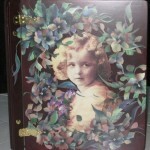 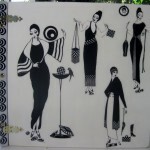 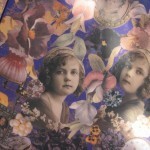 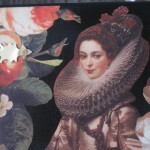 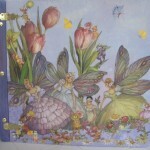 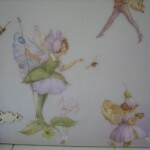 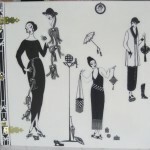 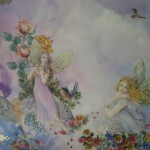 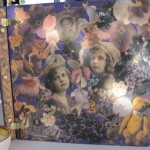 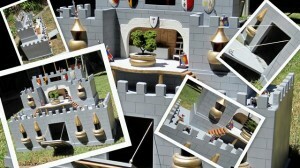 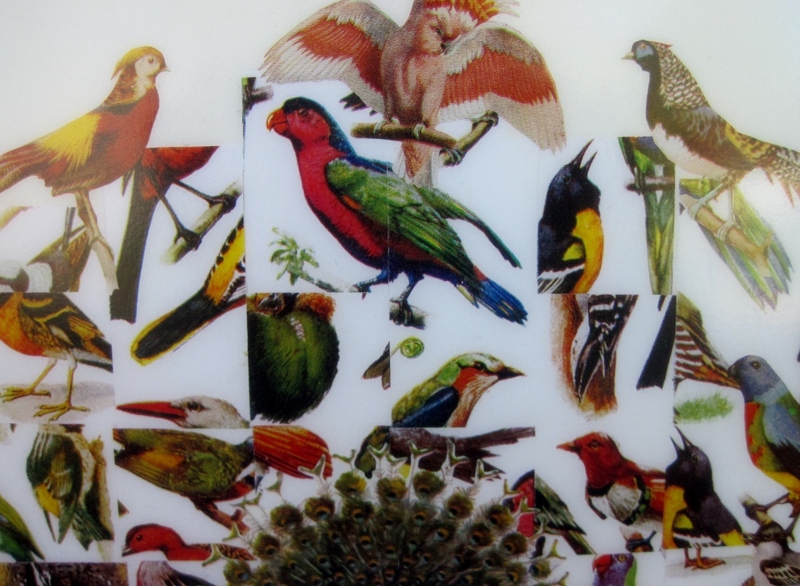 Our decoupage scrapbook/photo album page will continue to be updated with my new designs. 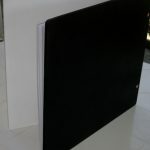 Please contact us for any queries. 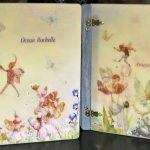 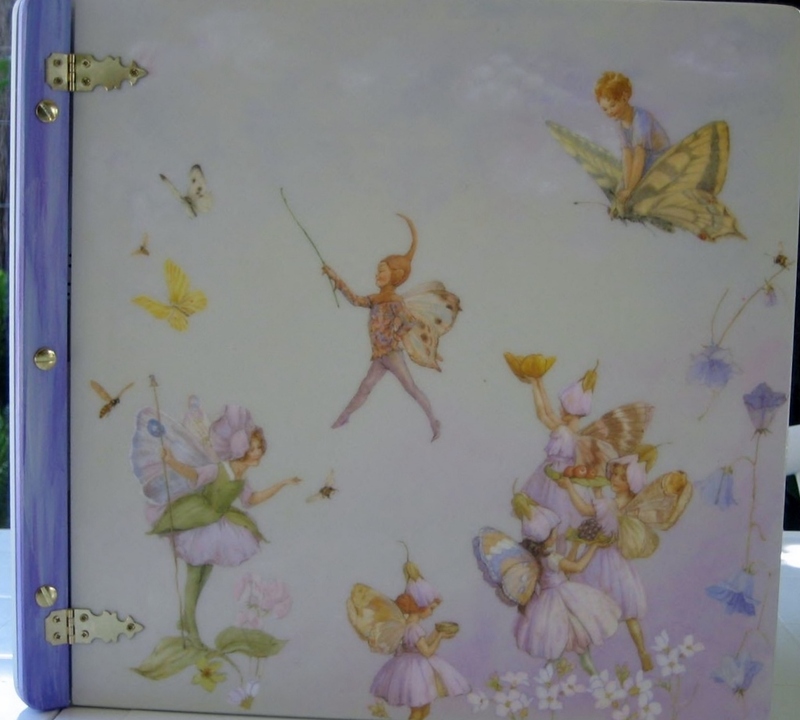 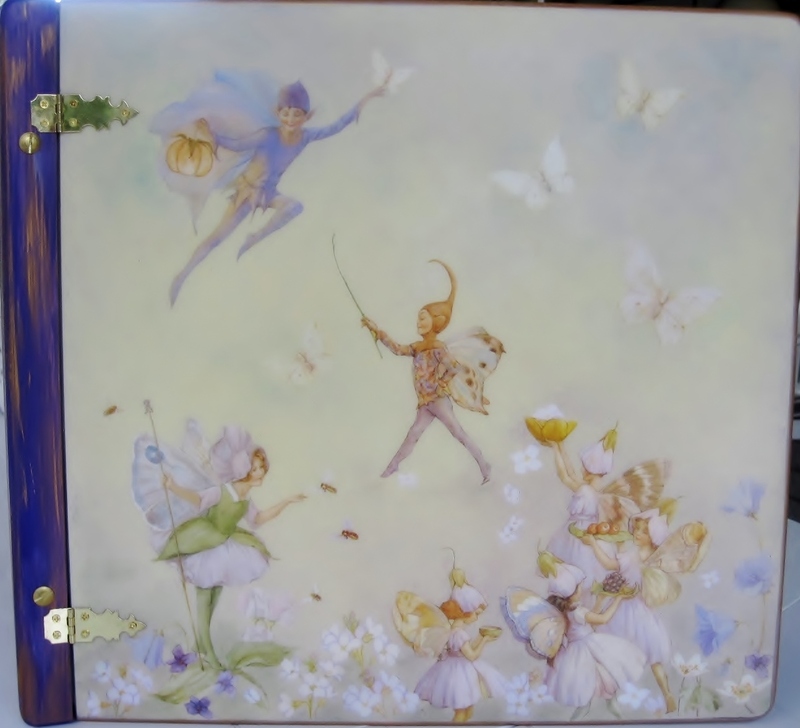 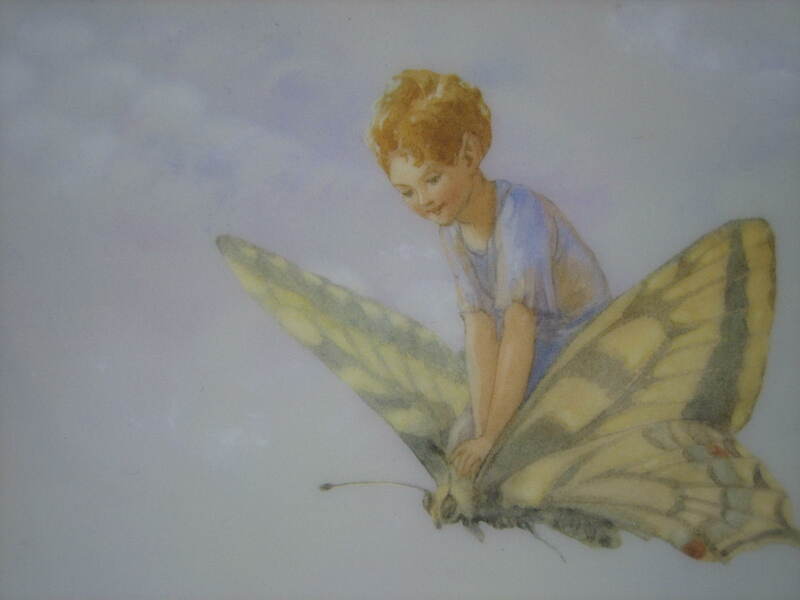 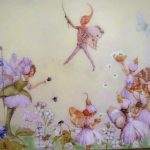 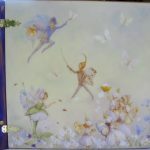 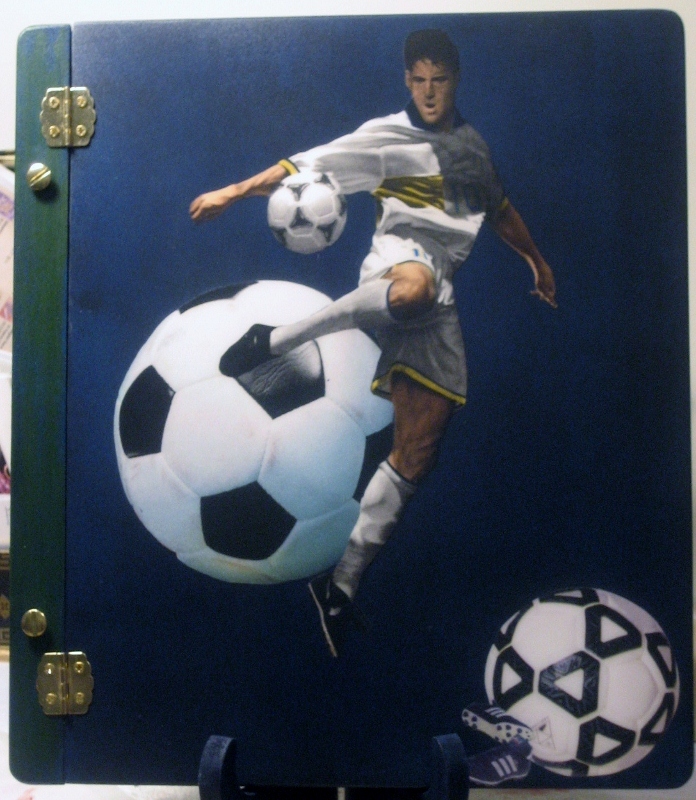 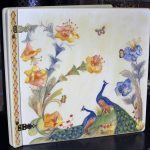 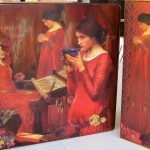 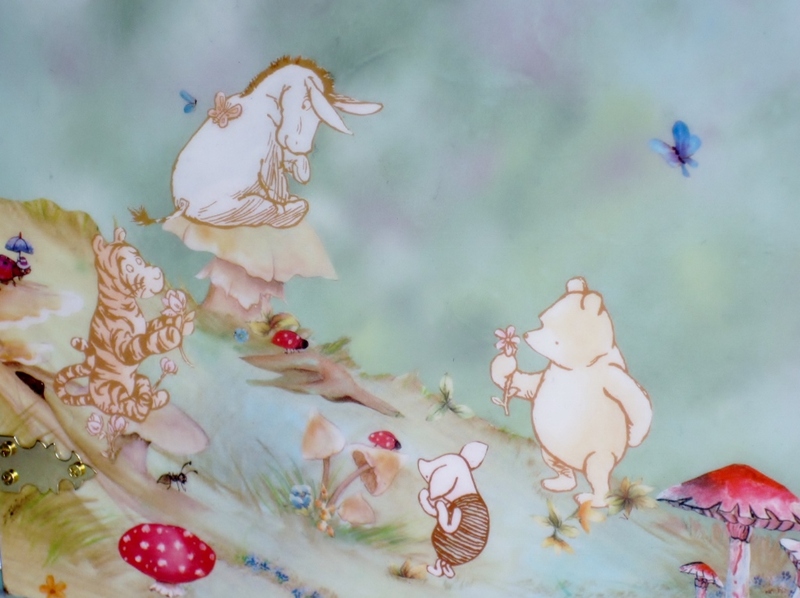 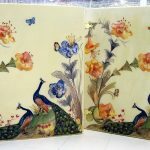 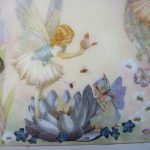 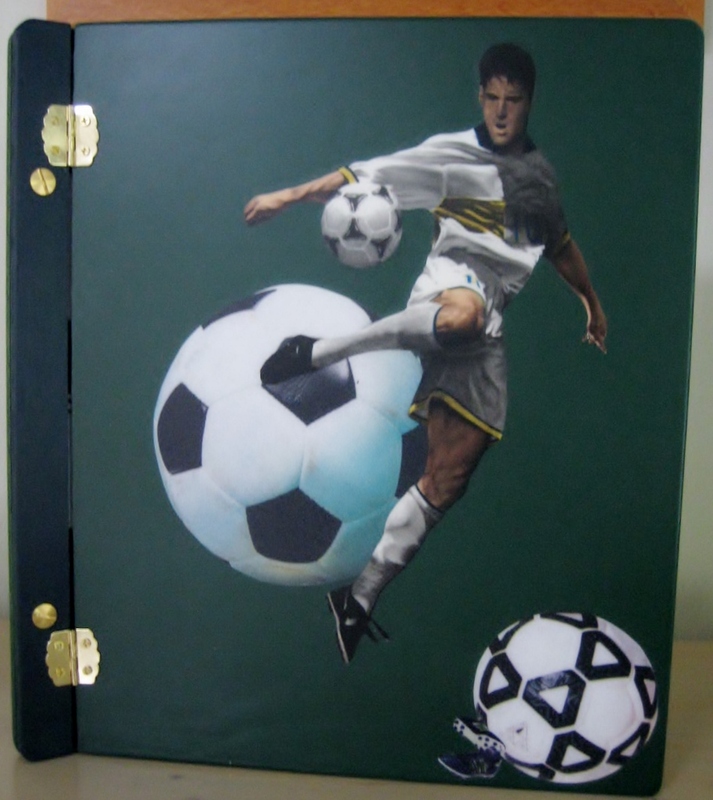 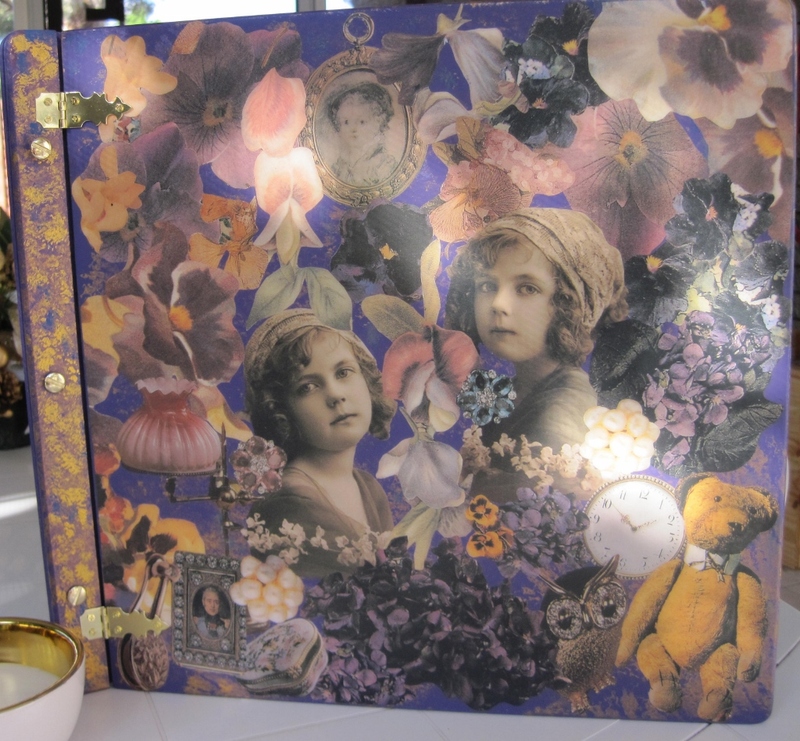 My decoupage scrapbook/photo albums are created in the traditional way, that is, my cut images sealed and coated with many layers of sealer/varnish and sanded and polished to a smooth silken surface. 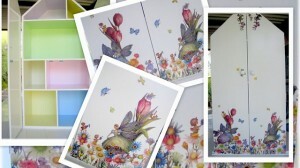 I paint the background to my album and then create my own design cut from quality paper. 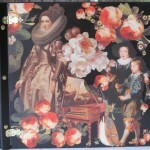 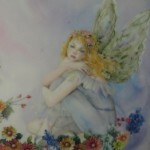 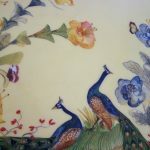 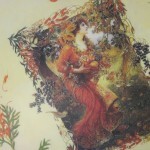 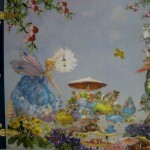 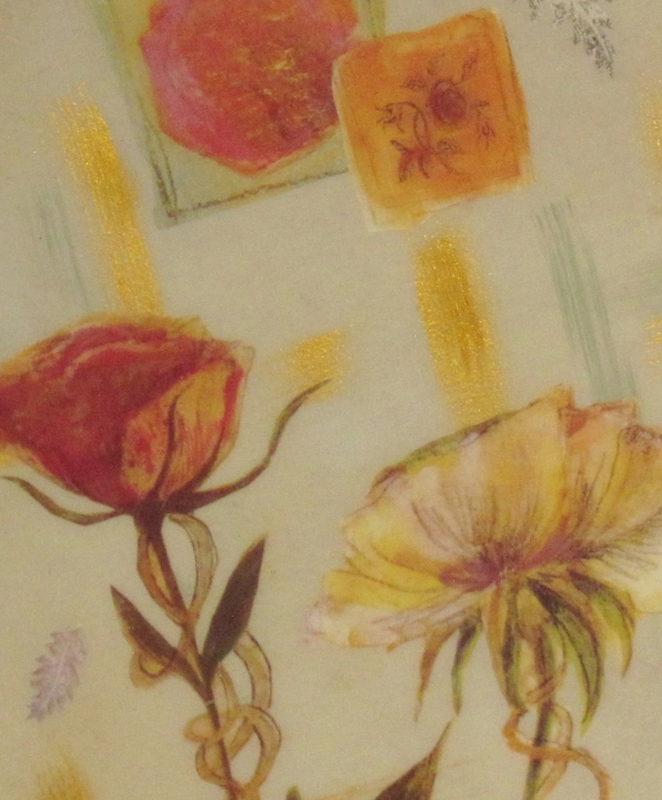 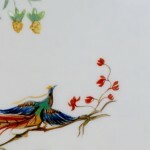 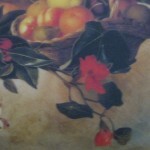 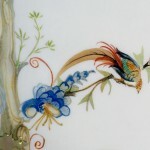 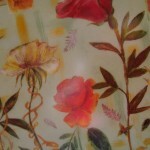 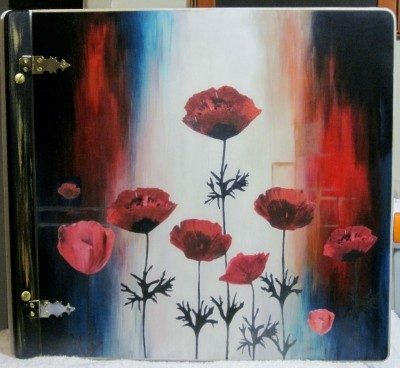 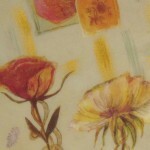 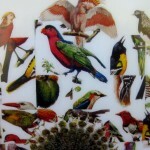 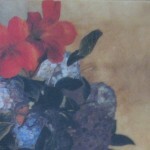 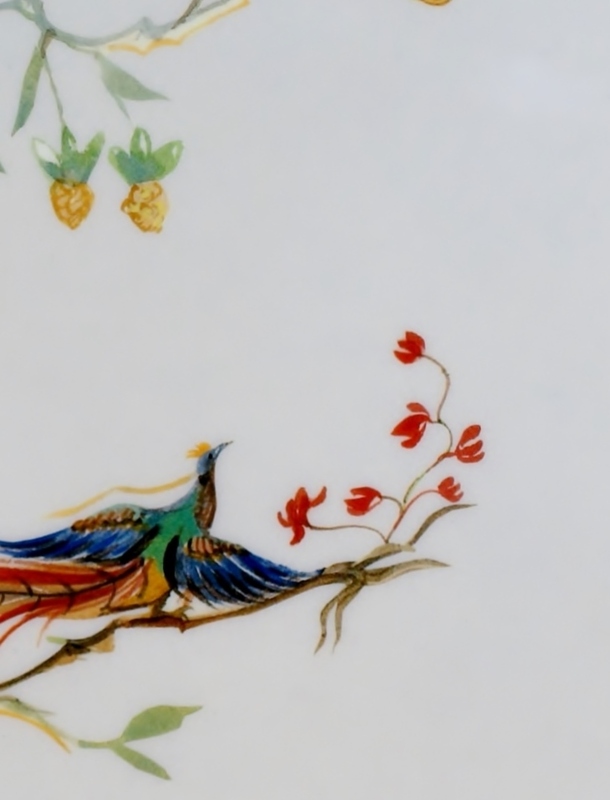 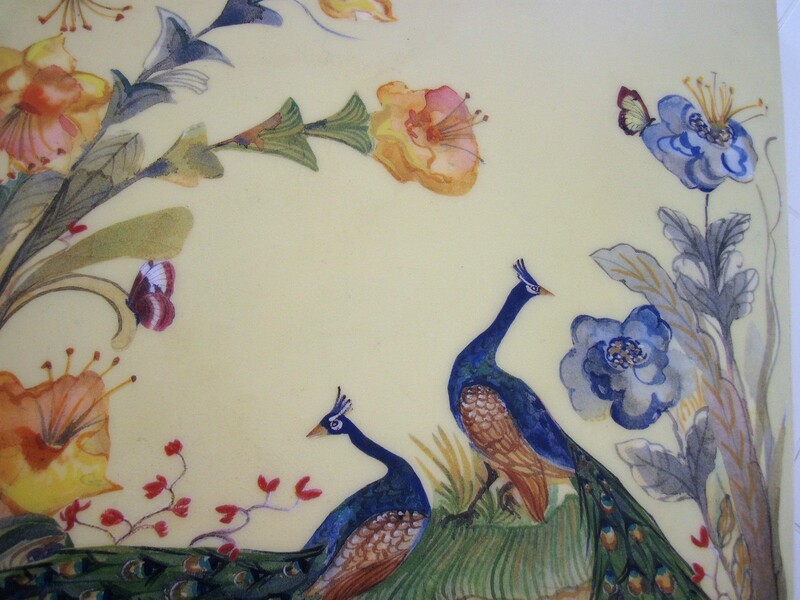 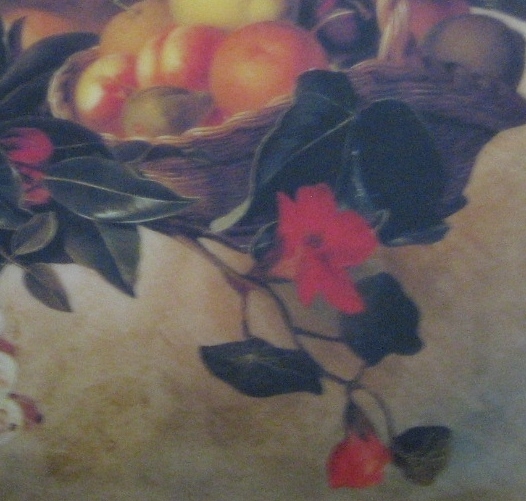 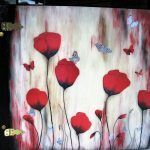 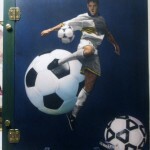 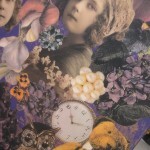 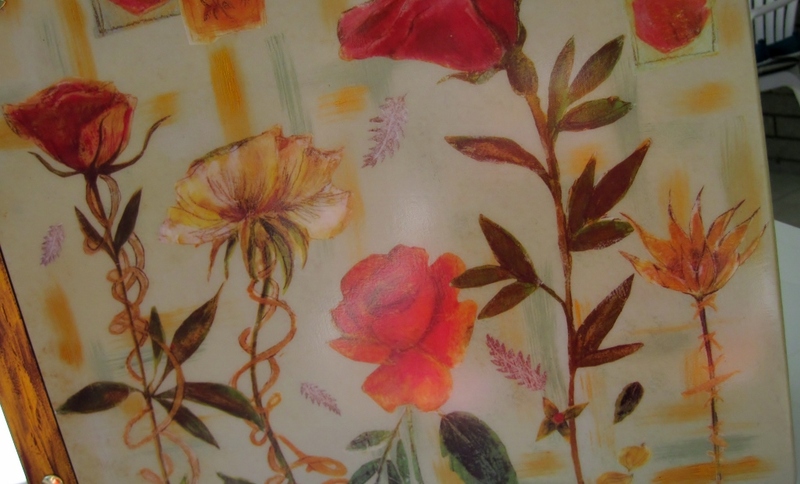 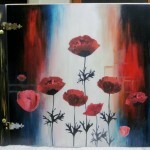 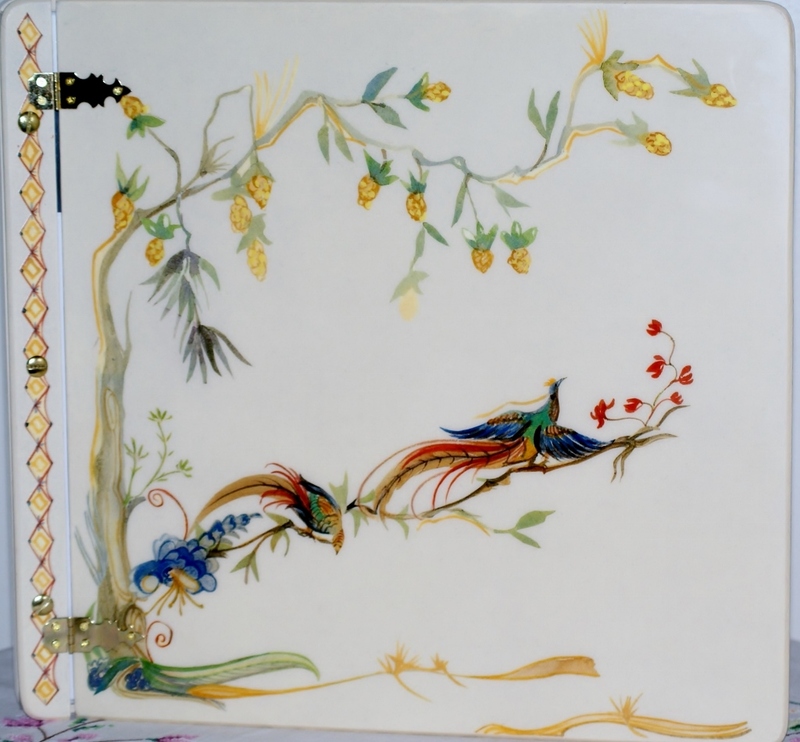 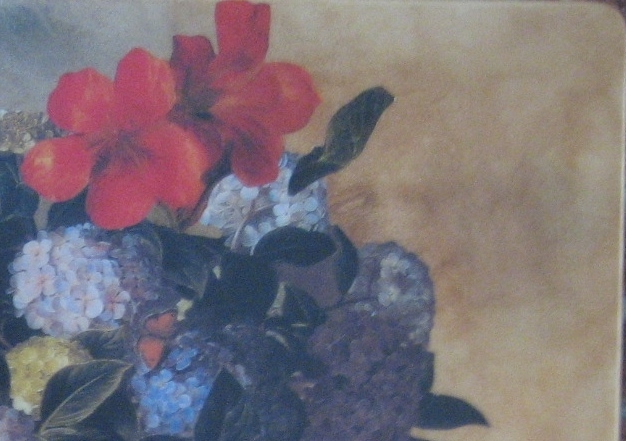 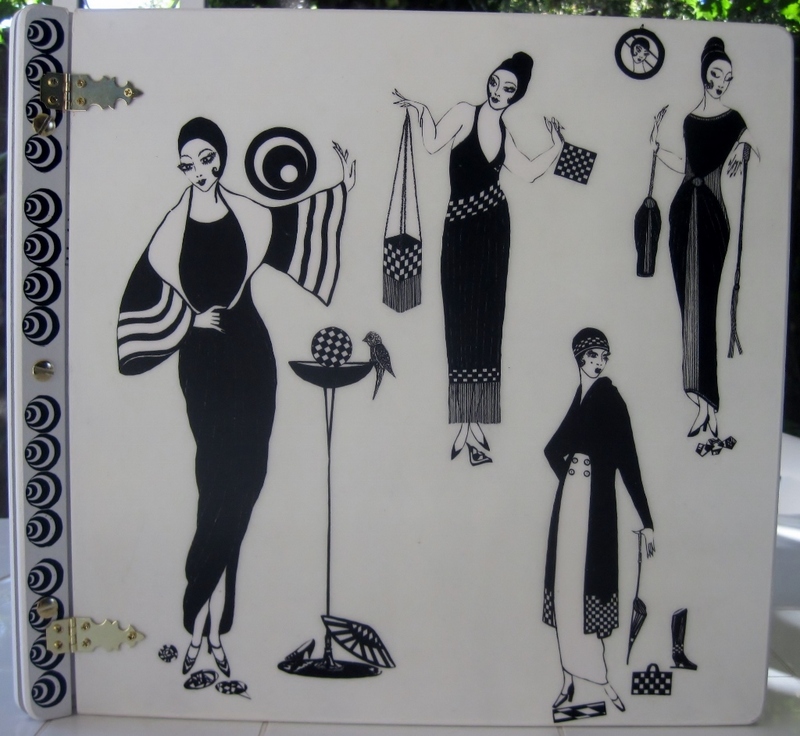 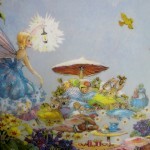 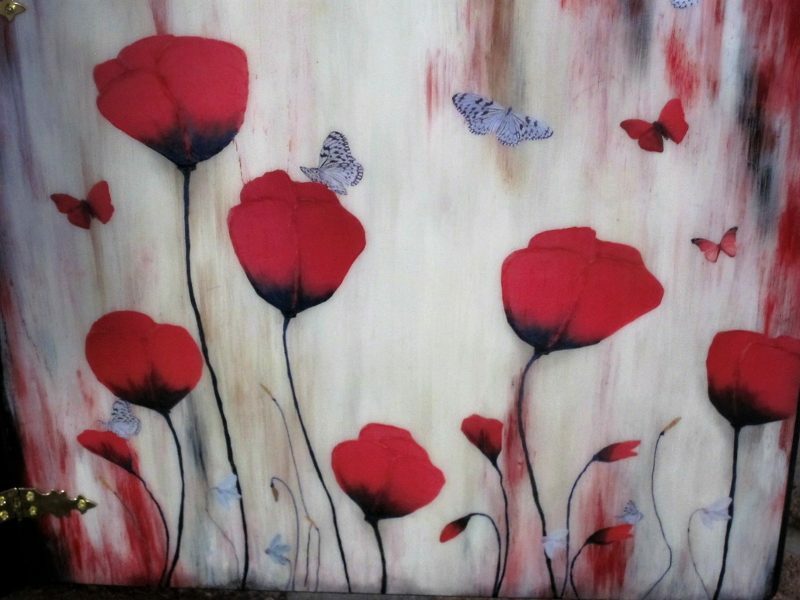 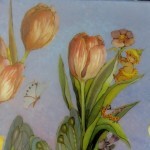 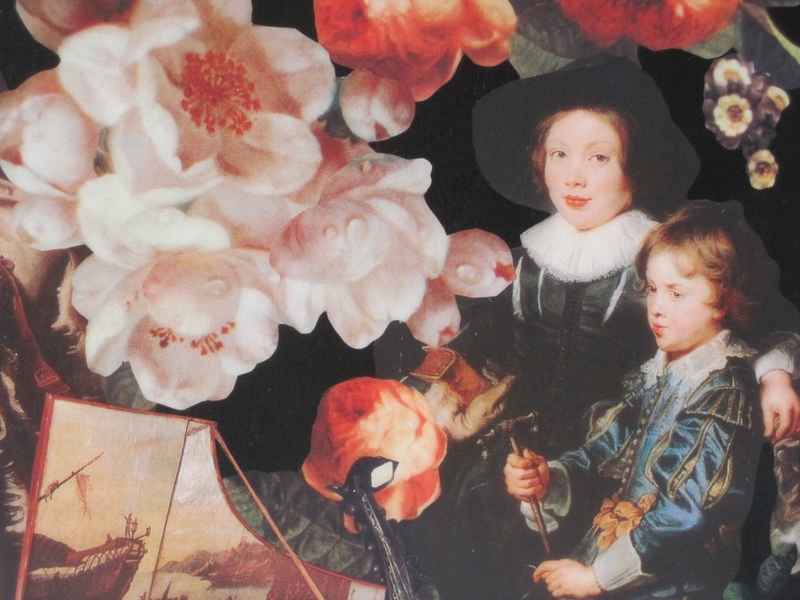 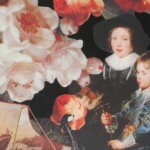 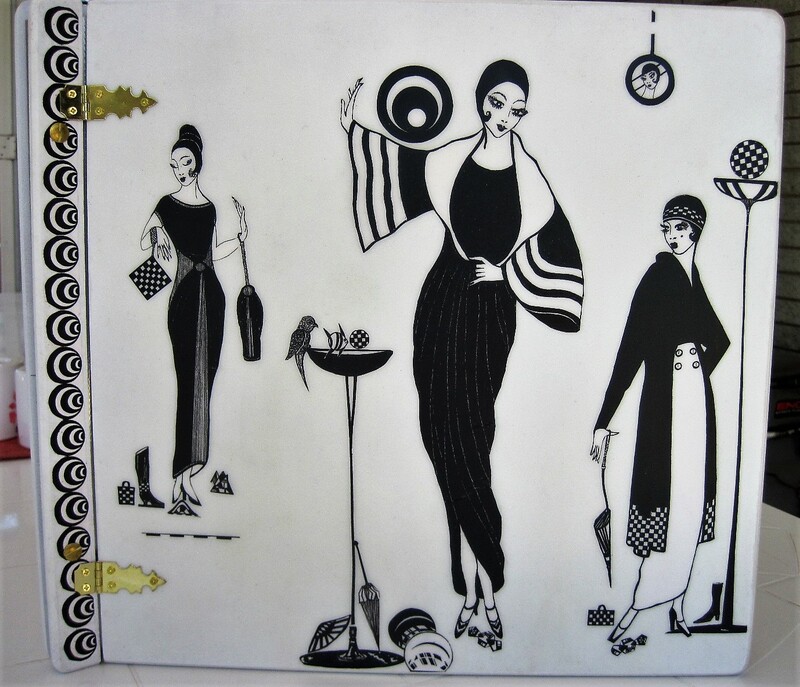 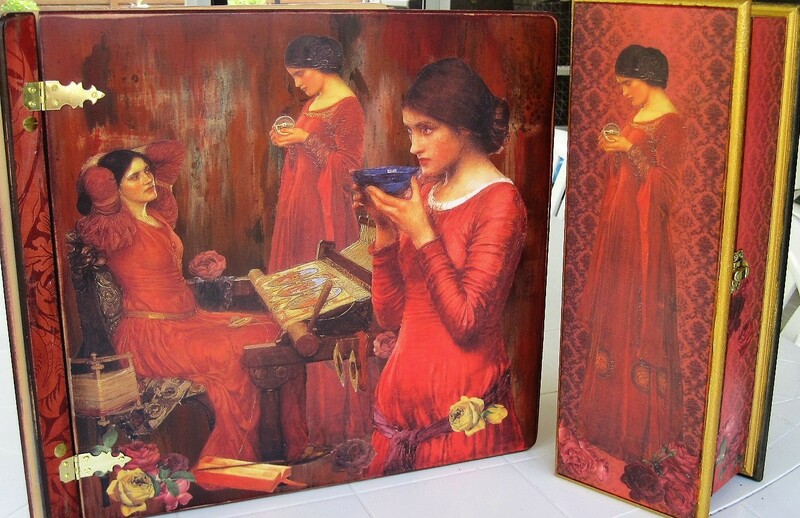 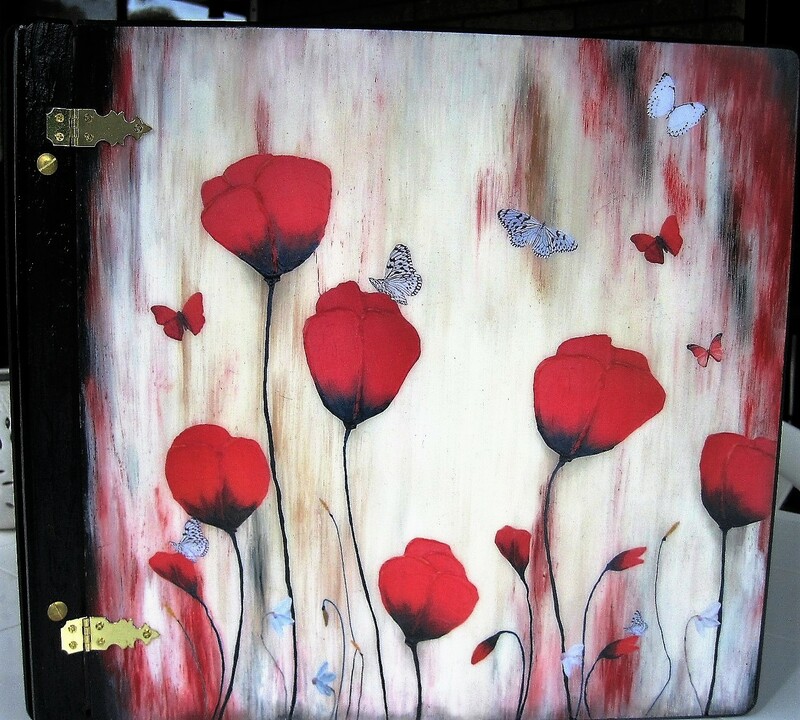 Decoupage has become my passion and I love to design in both traditional and modern style. 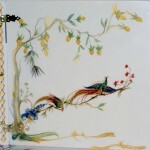 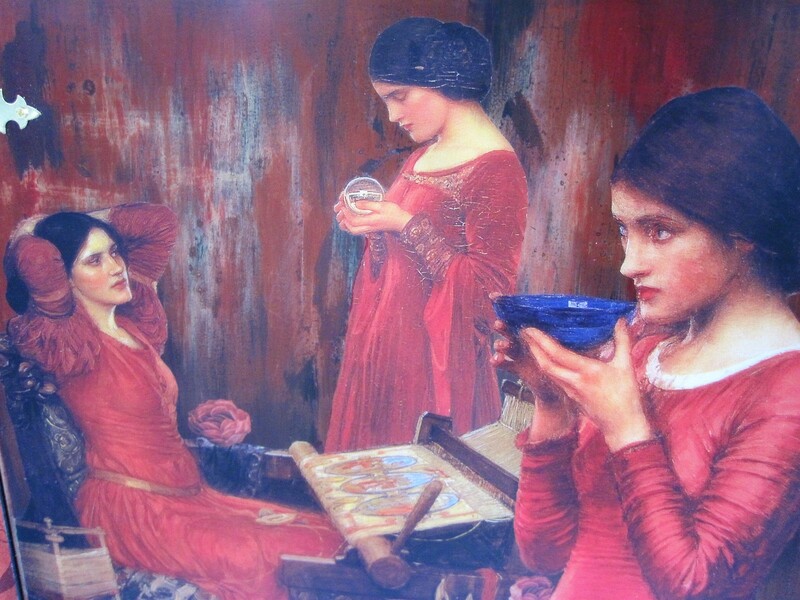 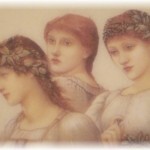 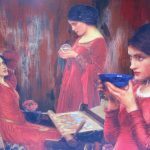 The process can be quite tedious but the finished result is extremely rewarding. 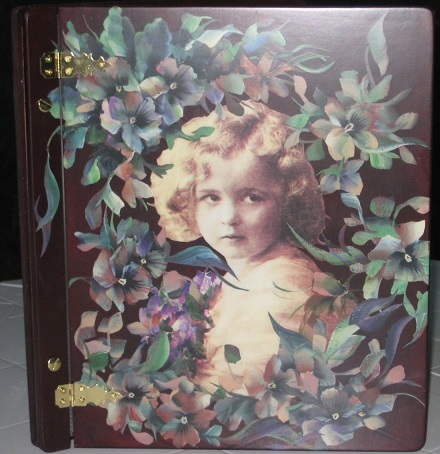 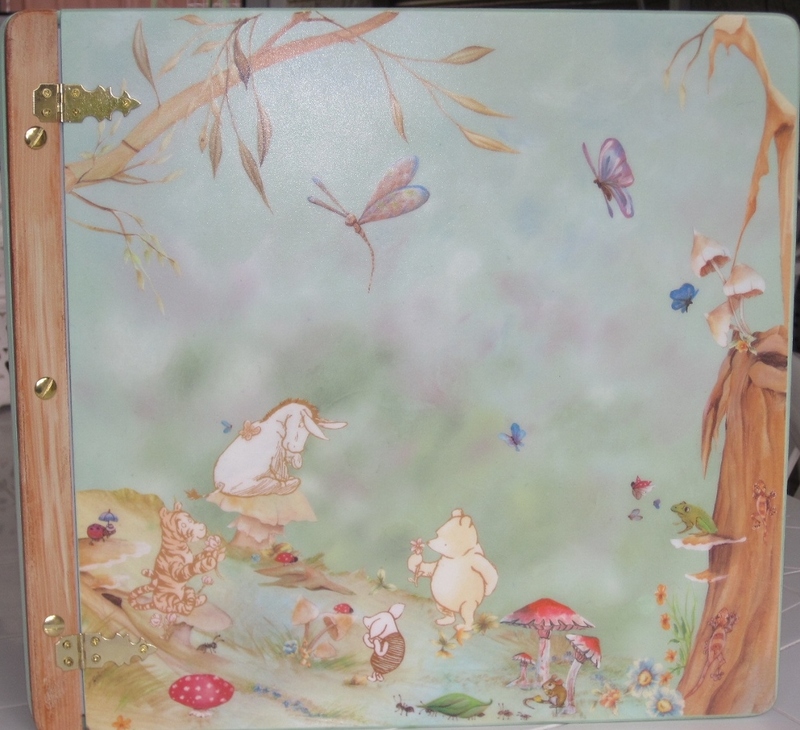 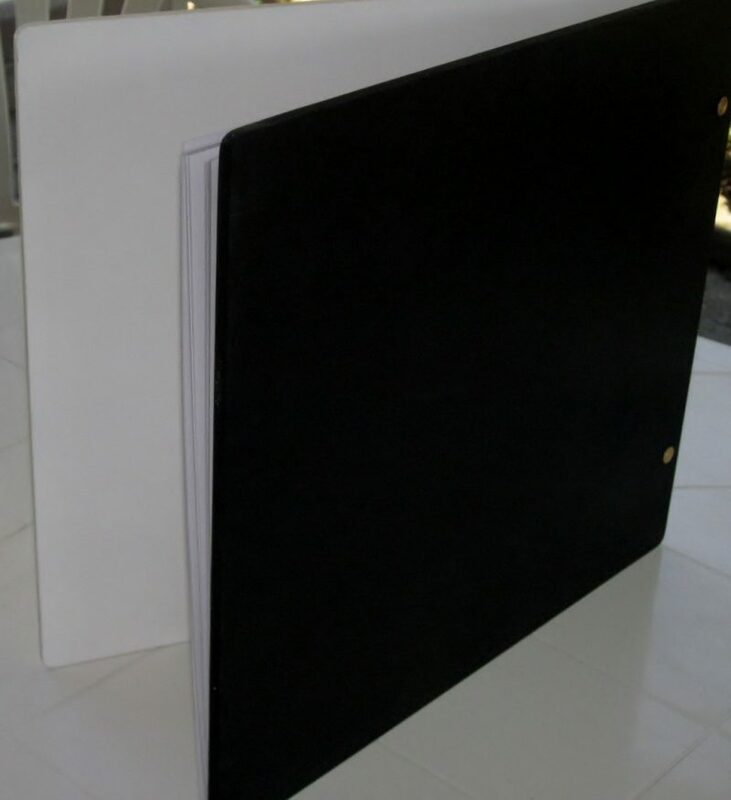 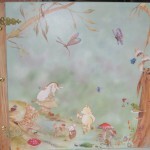 Our scrapbook/photo albums are made in our own workshop. 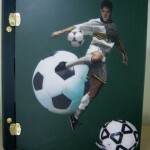 The majority of the designs shown below can be adjusted to fit any size album. 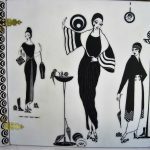 Any of the designs below can be made to order if not in stock. 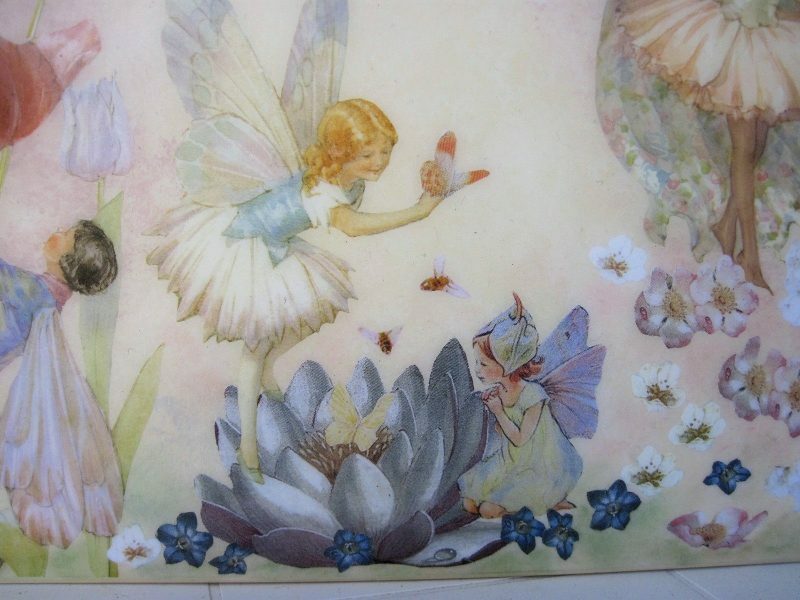 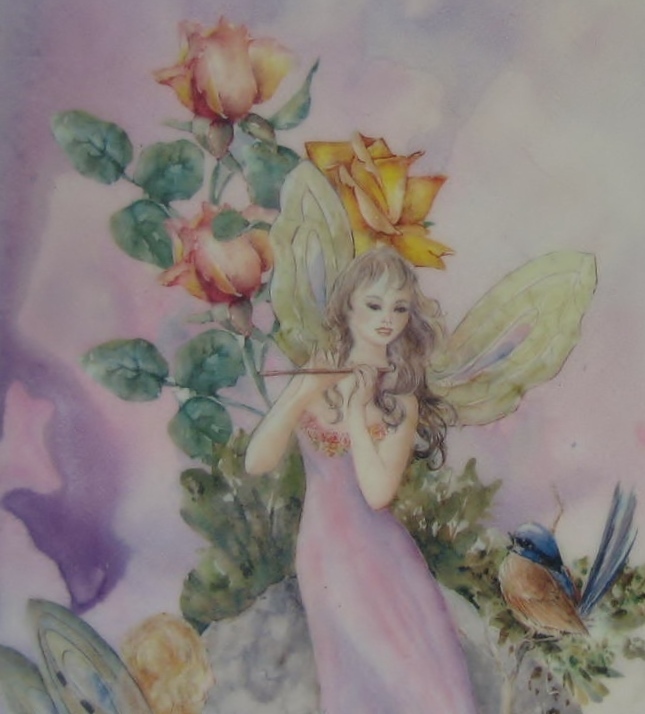 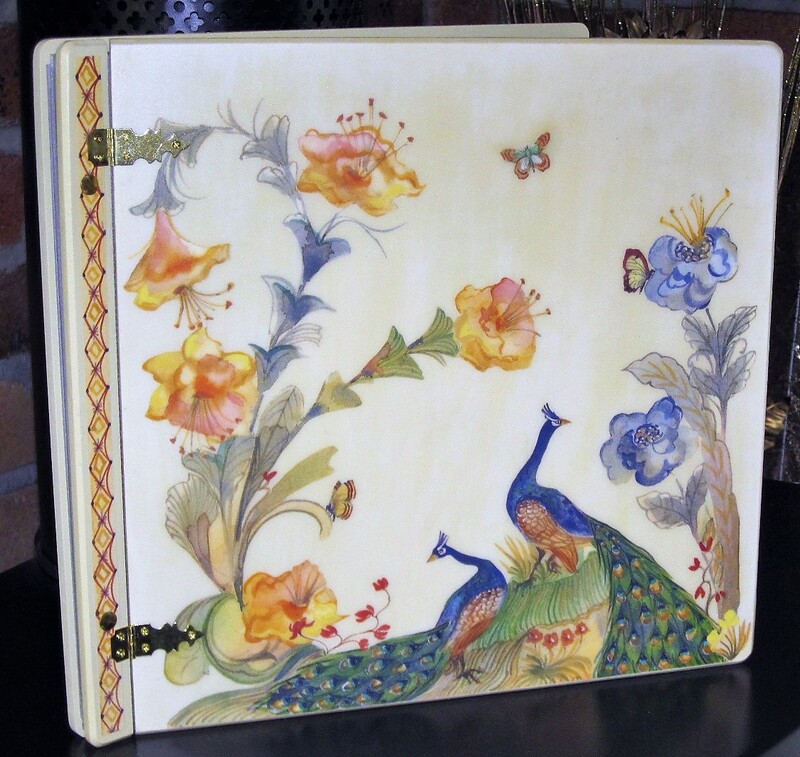 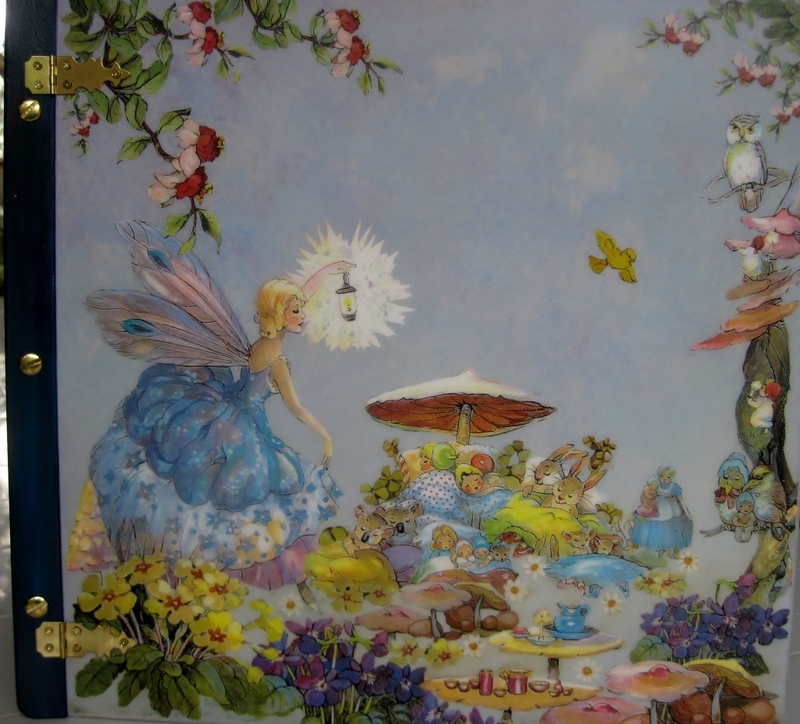 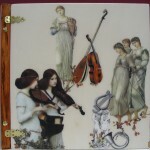 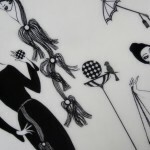 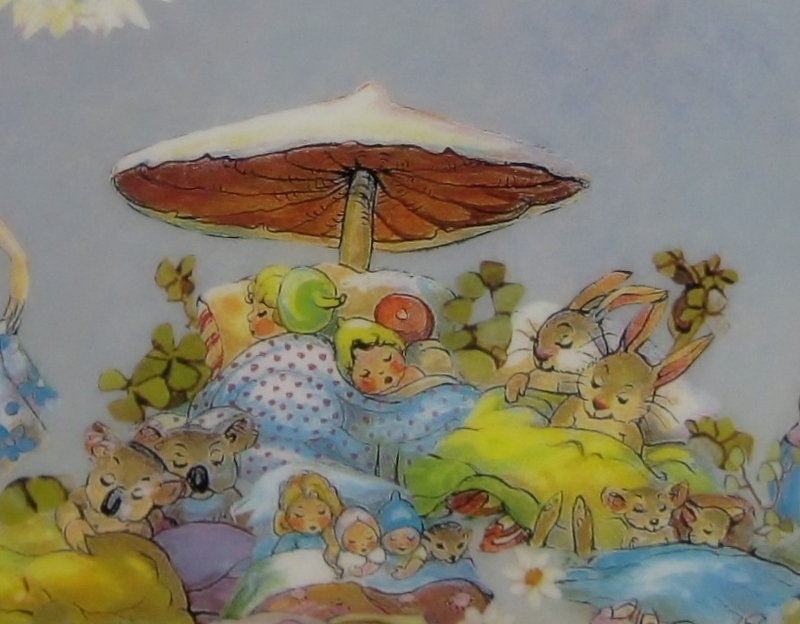 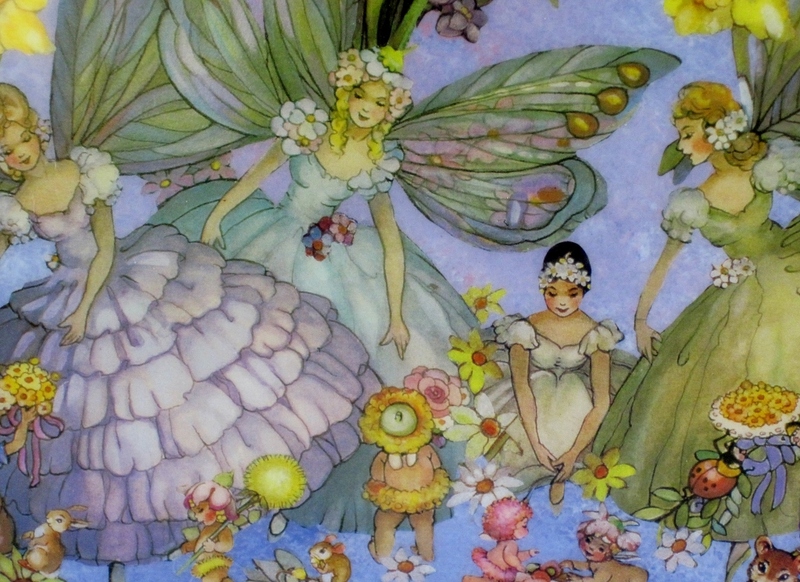 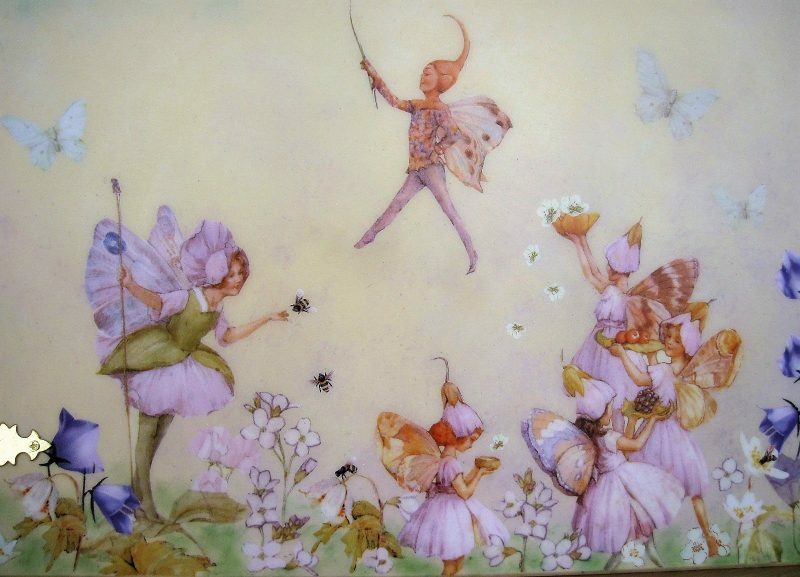 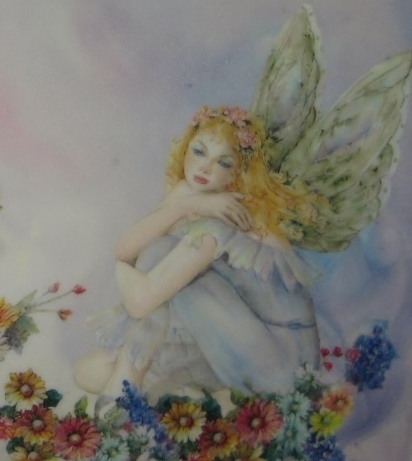 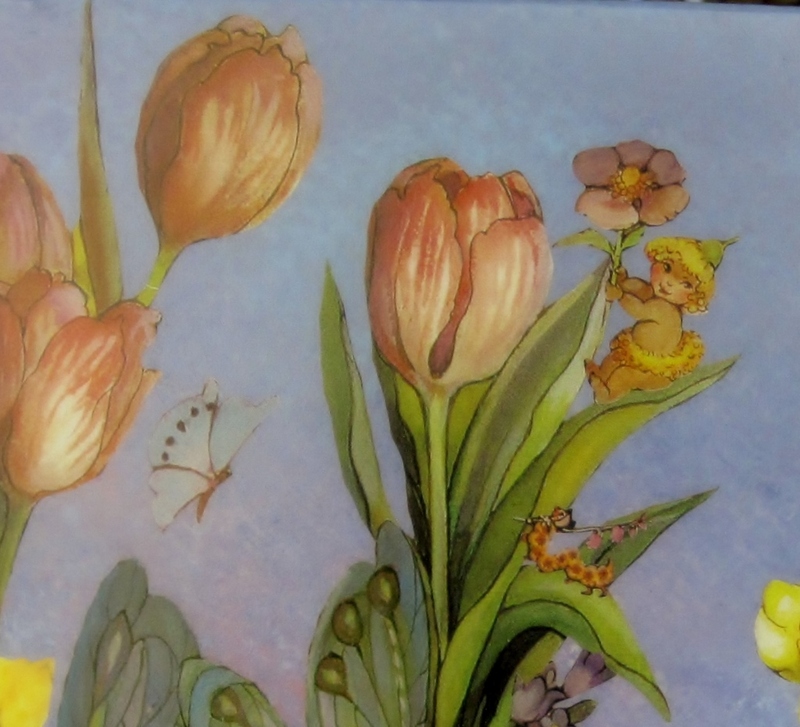 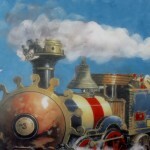 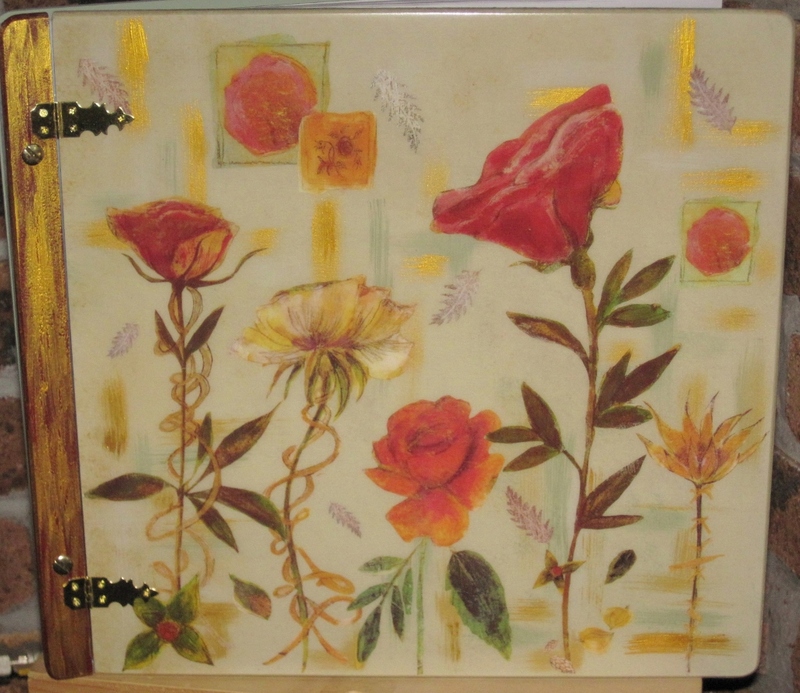 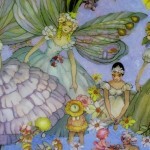 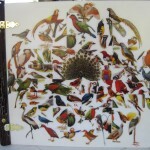 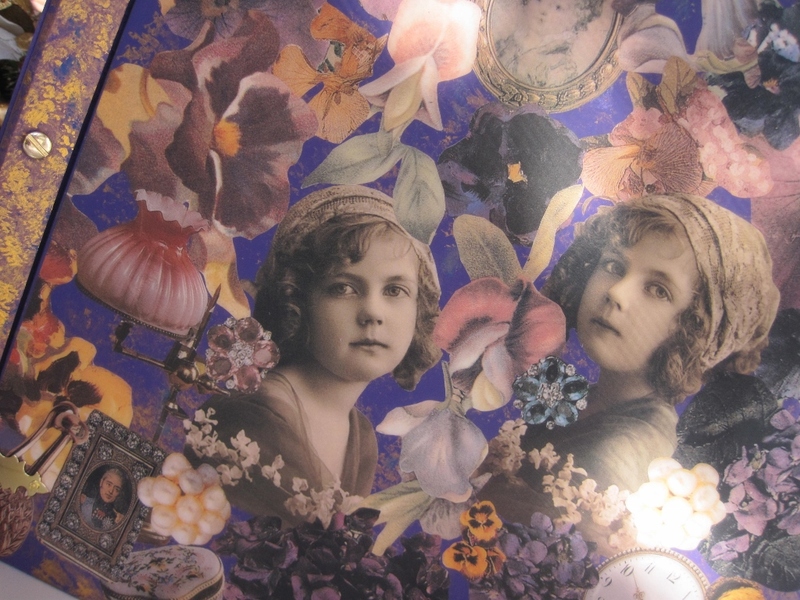 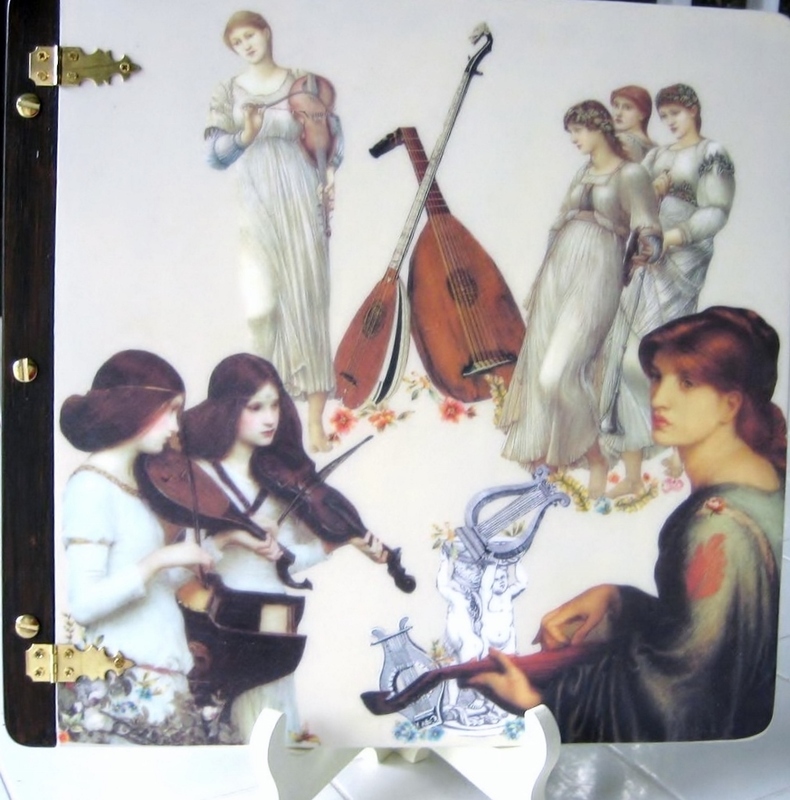 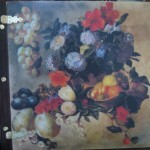 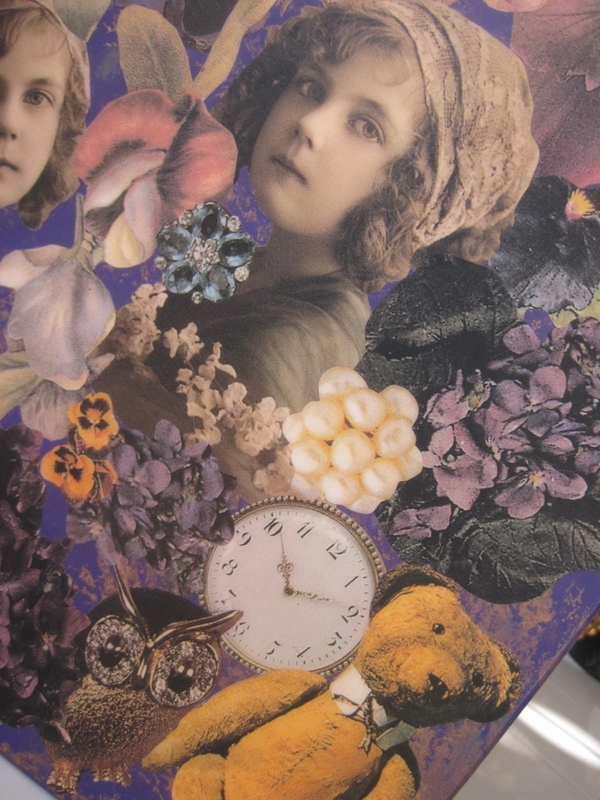 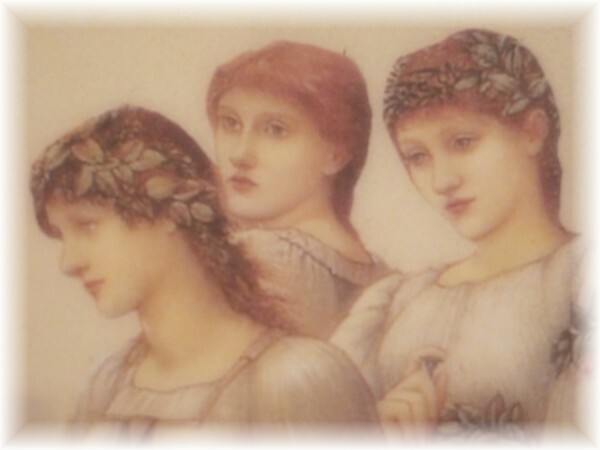 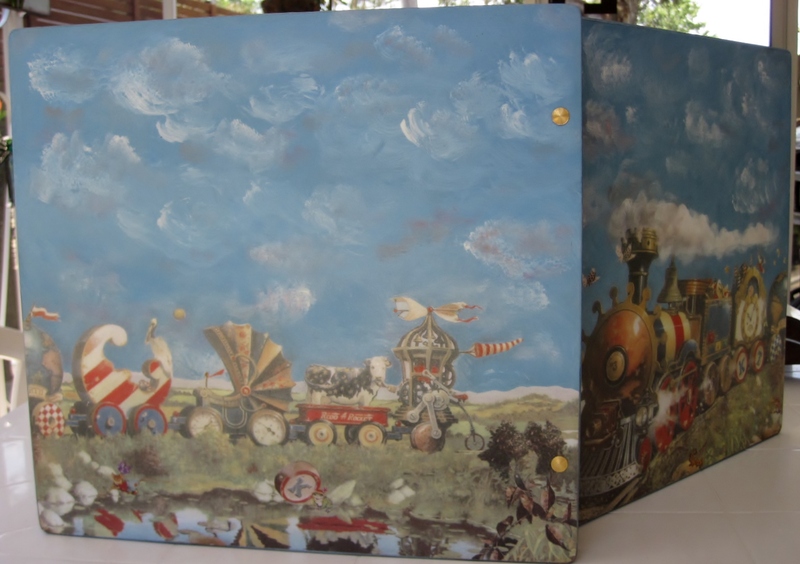 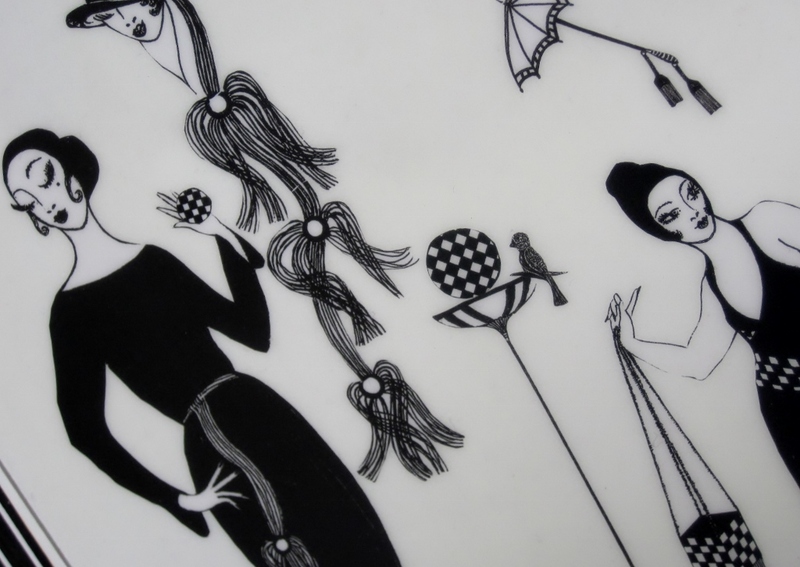 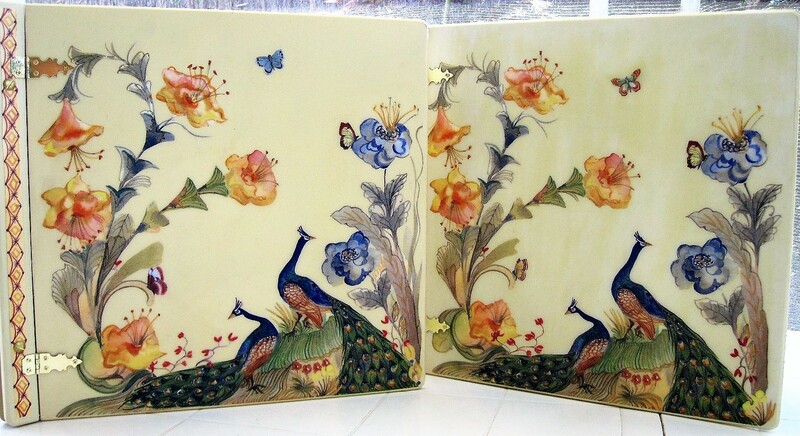 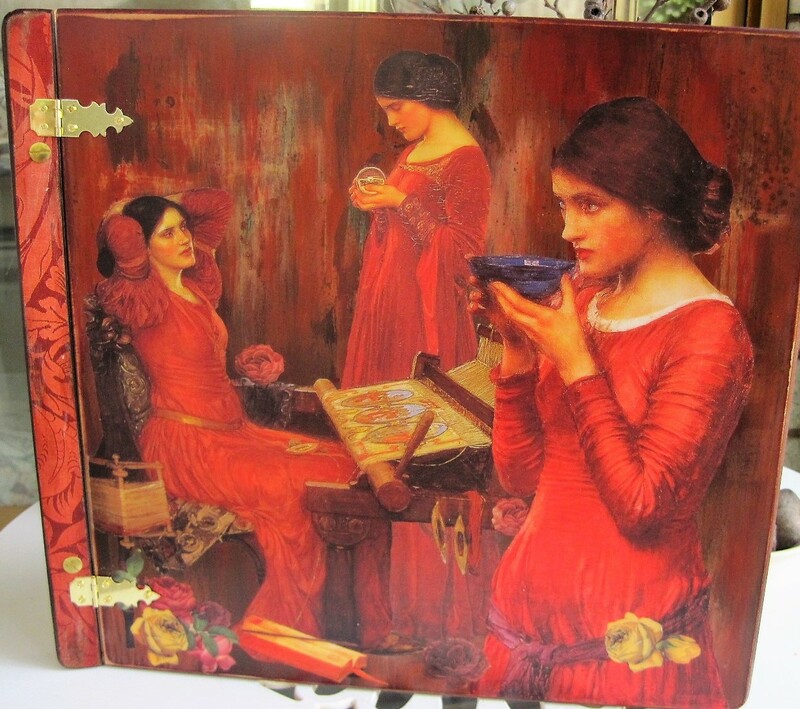 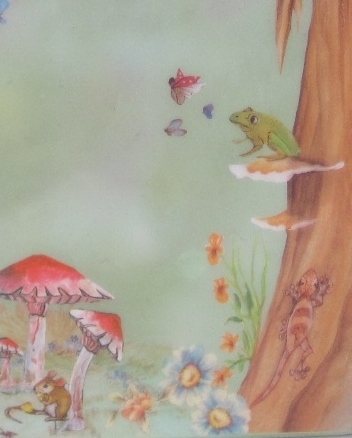 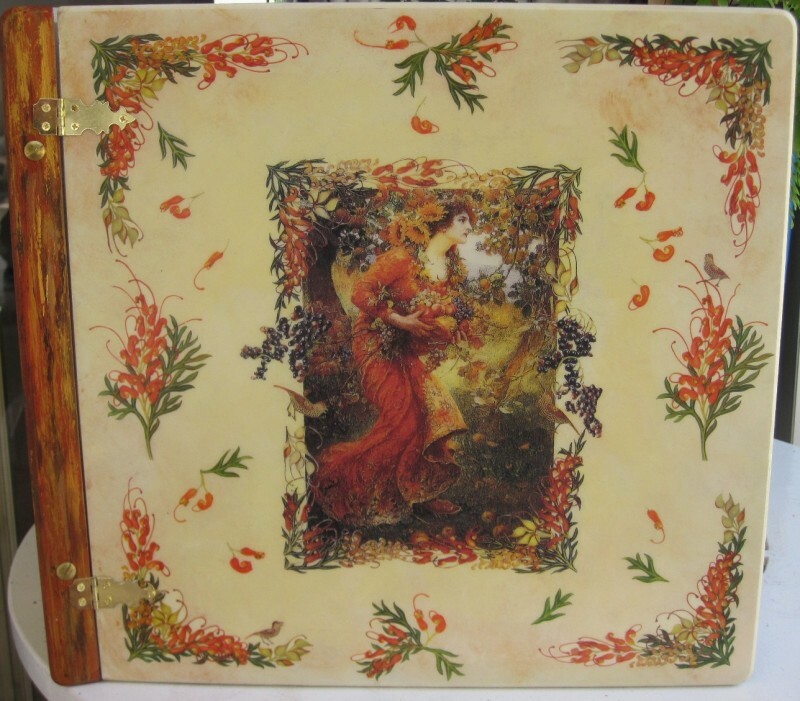 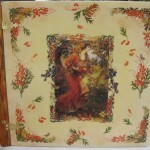 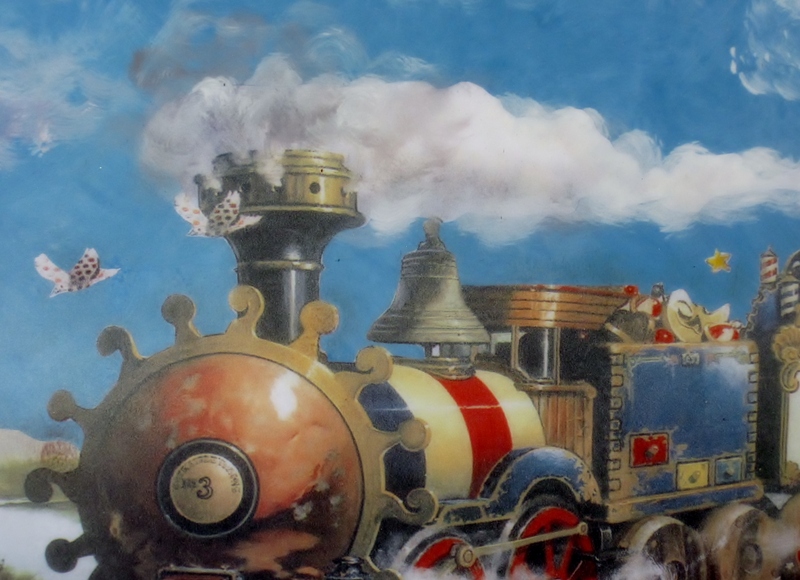 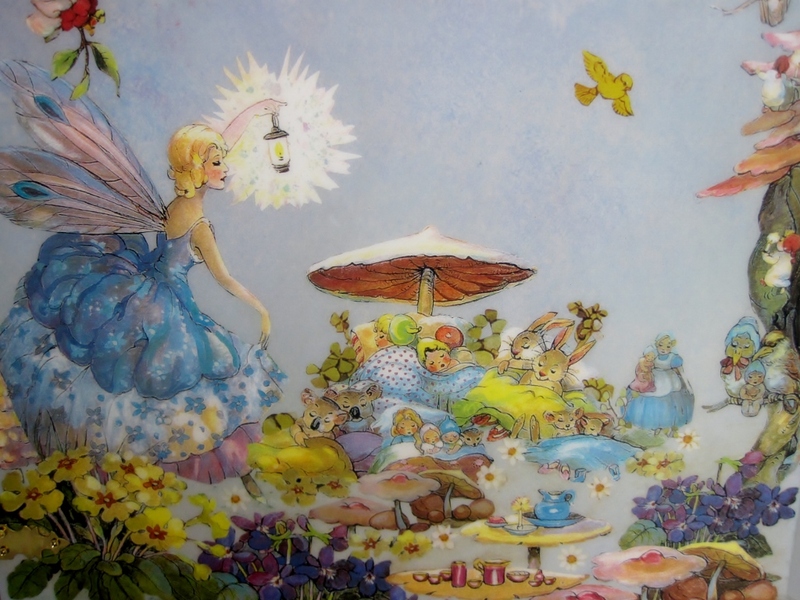 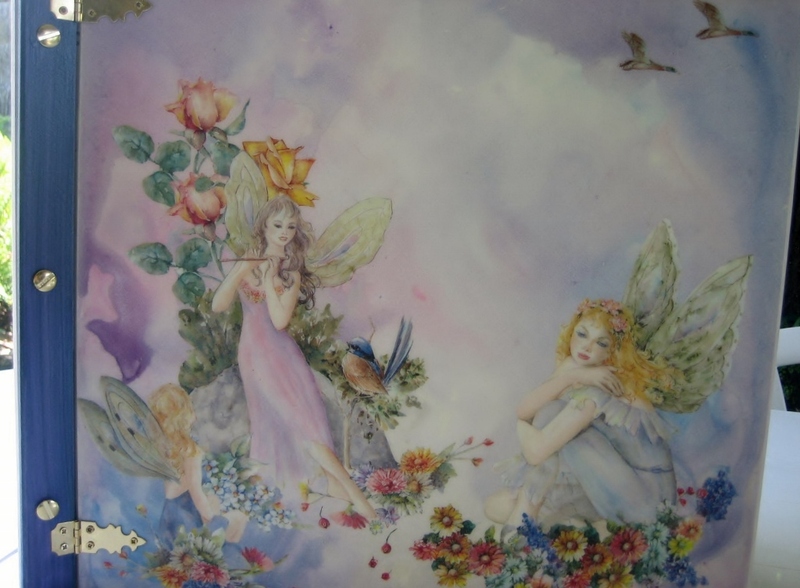 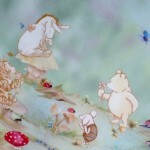 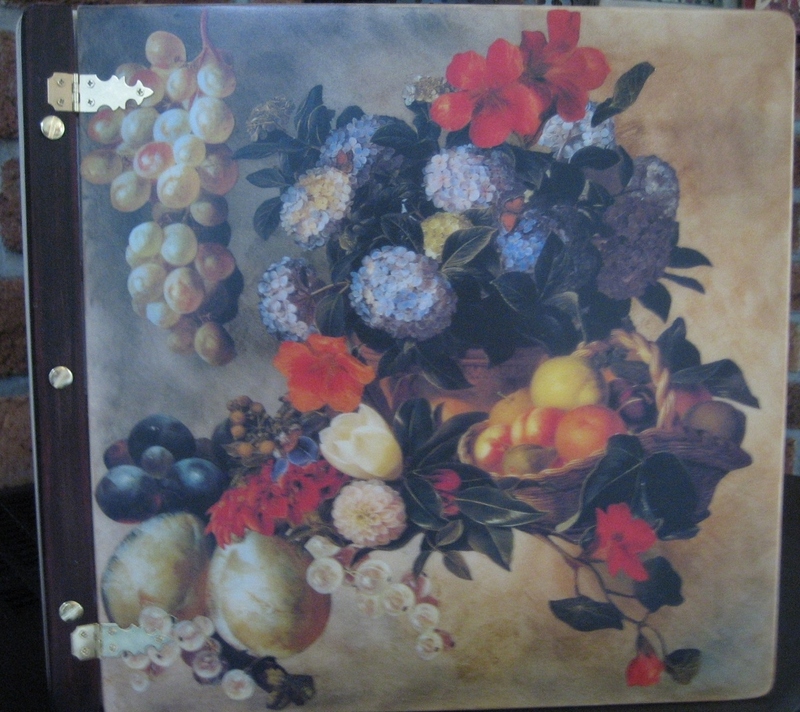 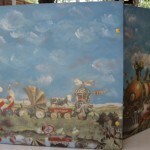 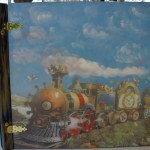 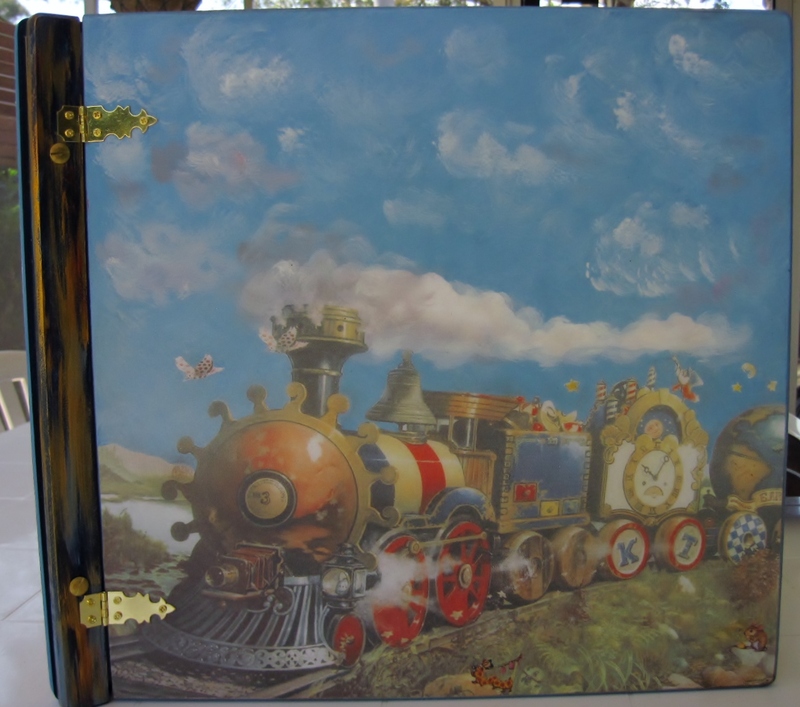 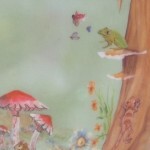 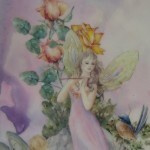 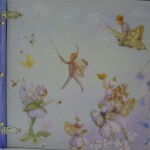 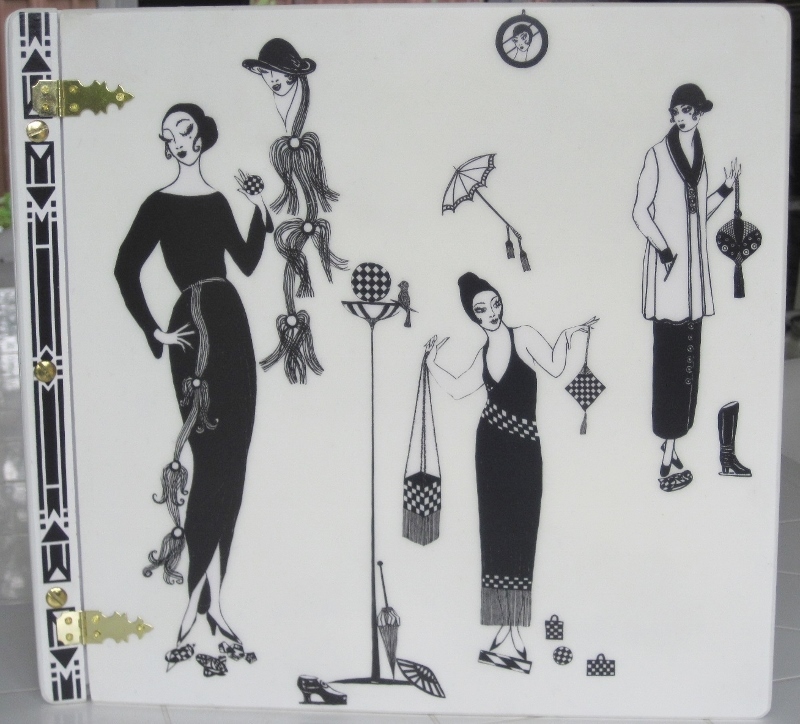 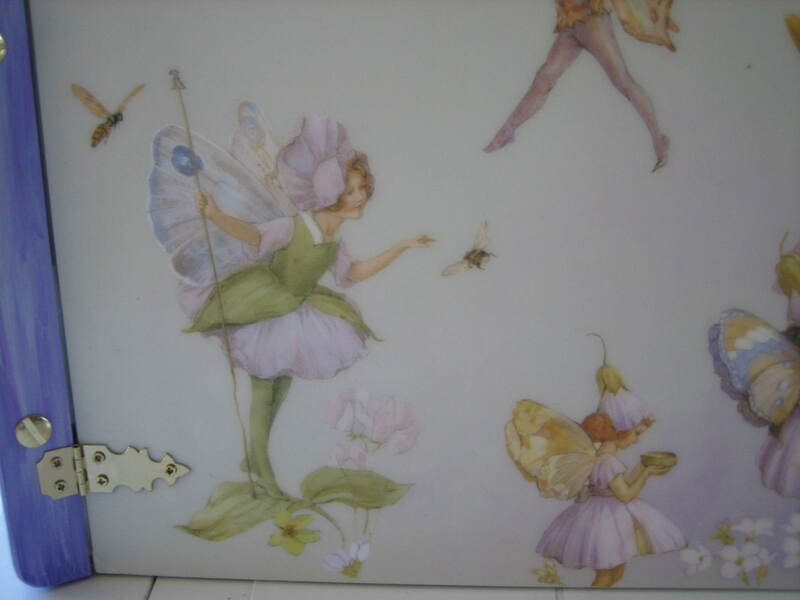 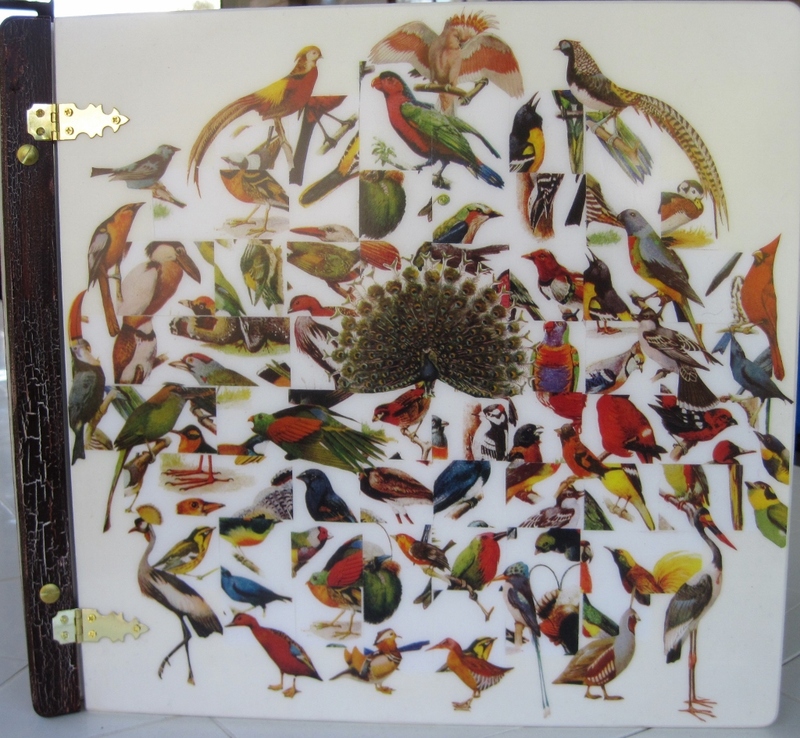 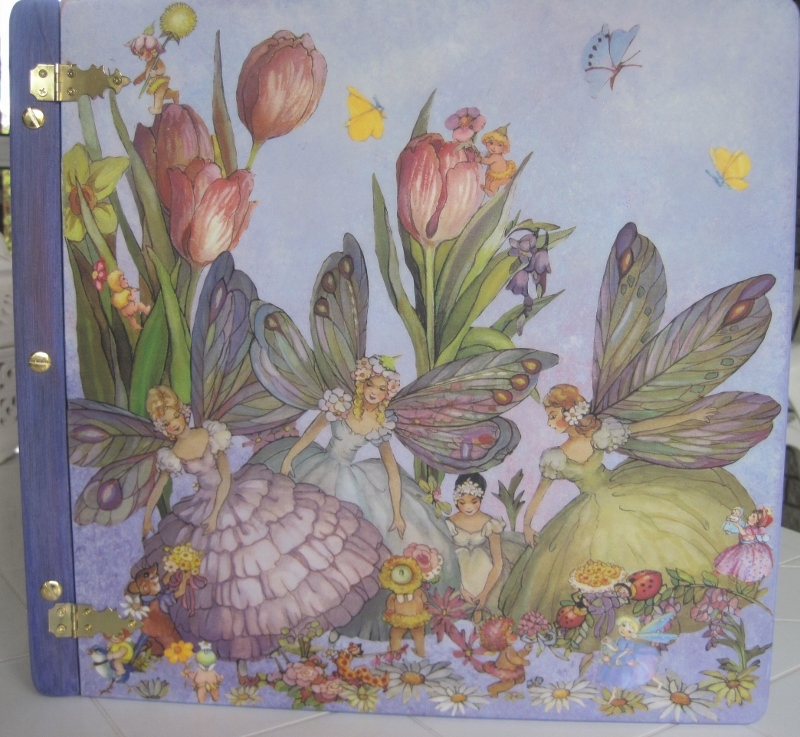 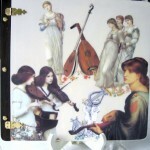 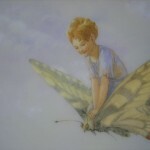 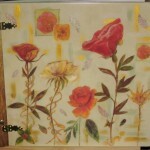 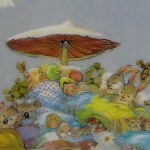 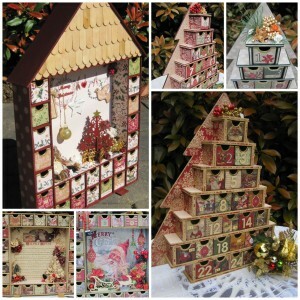 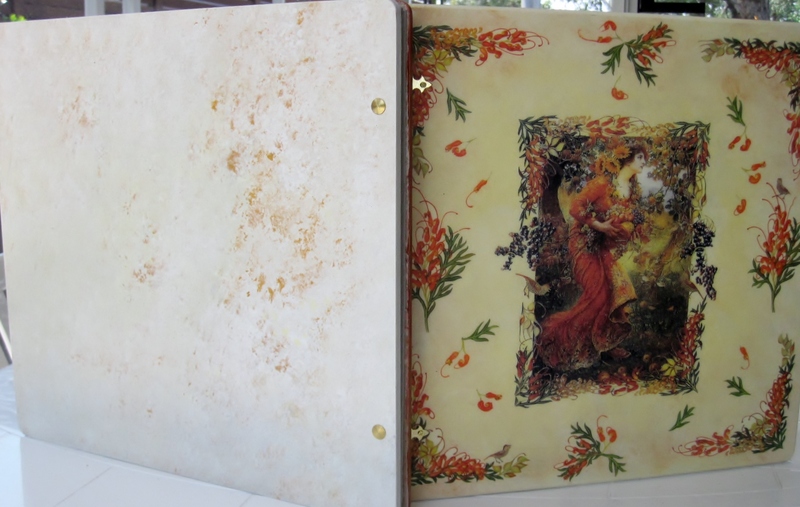 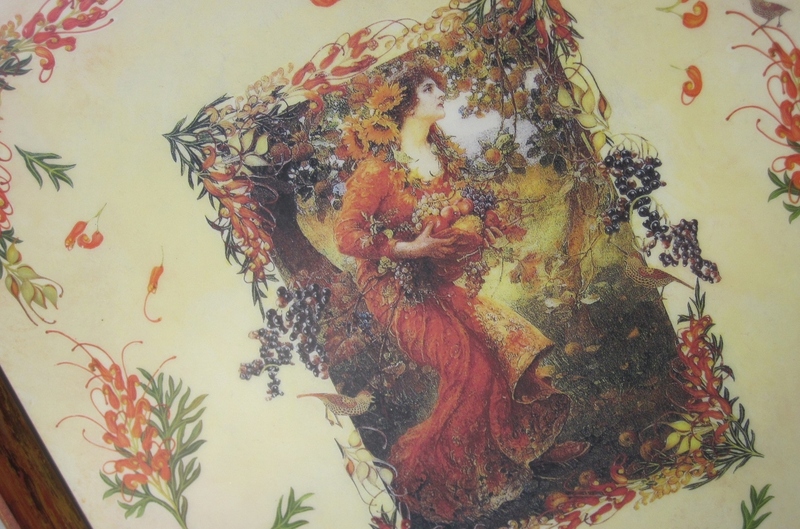 The completion time for my decoupage albums is approximately four weeks, so order early. 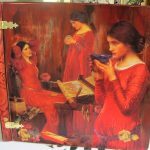 I also specialise in designing personalised albums and can create your special keepsake with your selected photographs decoupaged into the front cover – see our ‘Commissioned Works’ page. 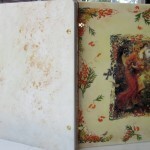 Below you will find albums I have designed to date. 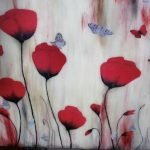 If nothing in our range appeals to you please let me know and we can discuss what you may have in mind. 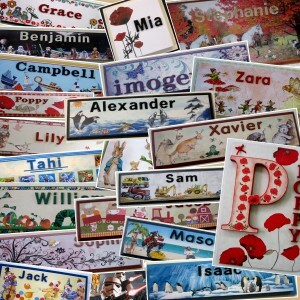 You can contact us via our ‘contacts‘ page.